Stop by the shop this Saturday to sample a few fantastic red wines from Bordeaux. If you’re looking for the perfect gift for the wine lover in your life – even if that wine lover is you – look no further than our mixed 12-pack of Bordeaux half bottles packed in attractive wood boxes. 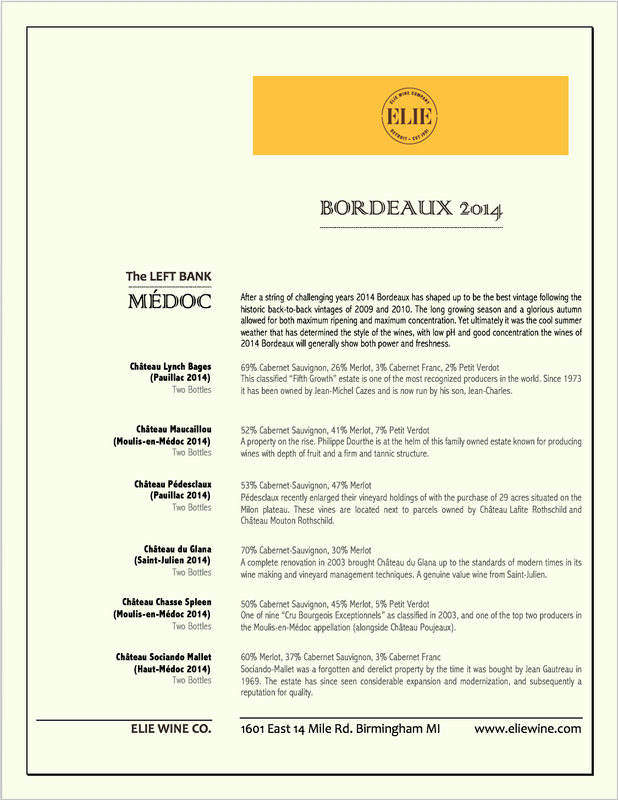 We selected an assortment of “Left-Bank” mostly Cabernet Sauvignon-based Bordeaux, ranging from Cru Bourgeois to Classified Growth wines. If one or two 1.5 liter magnum bottles of Bordeaux make more sense as a gift for your wine loving friend or your cellar, we have a large selection to choose from. Prices range from $160 to $290 for some of the top producers of the region, including: Saint-Émilion Premier Grand Cru Classé Château Troplong Mondot, Second-Growth Saint-Julien Château Léoville-Barton, and Third-Growth Margaux Château d’Issan, among many more.